Why You Should Create Your Own Info Products Now | Yenom Marketing Inc.
Sure you can make some great money promoting other people’s products. And then what? You’ve made a sale, you’ve earned a commission, and now it’s time to do it all over again. Being an affiliate marketer is akin to being a salesperson on a car lot. You’re competing against every other salesperson on the lot, as well as every other car dealership in town to make that sale. And if and when you do sell a car, you only get a piece of the commission. The dealership owner and car manufacturer get the rest of the profit. Now if you’re thinking that being a product creator is like having your own dealership, think again. Creating your own products is akin to being Ford, GM, Mercedes Benz, etc. You are the one and only person creating your particular products, and you’ve got thousands of dealerships and hundreds of thousands of sales people all competing to MAKE YOU MONEY. The difference here is profound. As an affiliate you’re competing against every other affiliate to sell that product. As a product owner you’ve got affiliates competing to make you money. Now then, once a car is sold, who gets the follow up business? Again, it’s the dealership and manufacturer, not the sales person. Sure, that sales person might sell that customer another car sometime down the road, but in the meantime the dealership is selling services to the car owner and the manufacturer is selling parts. Again, the sales person worked his or her hind end off to make the product CREATOR money. It’s the same way with info products. As the product creator you are the authority, the one the customer looks to for answers, help, coaching, additional (higher priced) products, etc. Your affiliates have worked hard to build you a golden list of customers who now come back to YOU for more products. And what happens when these customers purchase directly from you, the product creator, instead of going through the affiliate? 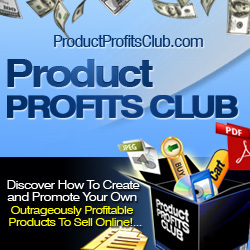 You keep 100% of the profits because there is no longer any affiliate to split it with. Yes, some affiliate programs do cookie the customer for a few months or as long as a year, but eventually that customer belongs 100% to you, the product owner, and the affiliate is cut completely out of the loop. So how do 100% commissions sound? How about having affiliates build you an ever growing list of happy customers you can market to again and again? And one more thing – when a customer is happy with the initial product, it now becomes far easier to upsell them to a related and much more expensive product. So even if you give away 100% of your initial commissions to your affiliates, you can quickly recoup that money and much, much more. Why give away 100% commissions on the front end? Because this is the incentive that will build a rabid pack of affiliates who cannot wait to sell your product. If you are a product owner with a hot selling product that pays 100% commissions, then advertise this to affiliates and they will work extra hard to build your business for you. If you haven’t already, get started on creating your own product. Keep it simple – a report will do. Make it on something that will immediately benefit your customers, something that gives them tangible results quickly. It doesn’t have to be long and it doesn’t have to be fancy – it just has to deliver great info. And then hook up with a program that pays immediate commissions to affiliates, like the Warrior Forum or JVZoo. Offer high commissions, write a great selling sales letter, and see what happens. And yes, do it this week. There is nothing like selling your own product to realize that you can in fact build a very lucrative business online. One more thing – have an upsell ready. This might be something you own the rights to, or find an appropriate affiliate program. Yes, in the beginning you may be combining affiliate marketing with your own products, and that’s okay. As soon as possible, you’ll want to create your own upsells to go with your products, but in the mean time 50% commissions are still better than none, and you’ll own the list your affiliates build for you.